Posted August 7, 2016 from Seattle, WA. 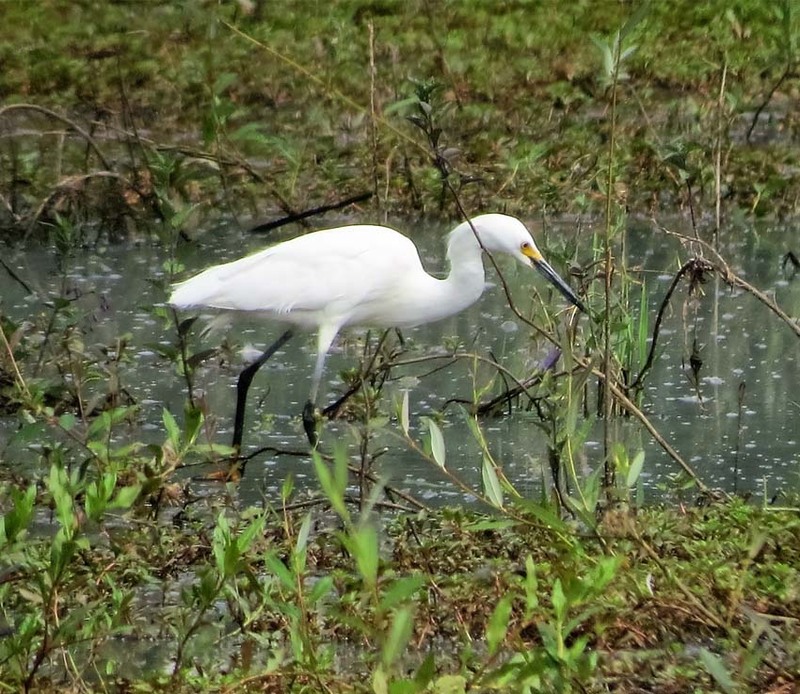 This Snowy Egret in Fife last weekend (Aug 1) was the first ever recorded in Pierce County. Snowy Egrets, like Great Egrets, may be making a push northward. Snowy Egrets are active foragers and this bird was up and down and all about the oxbow marsh shoehorned into a housing development in Fife. The marsh is gorgeous and feels wild. I was there with Brian Pendleton and we also saw Black Phoebe, Eastern Kingbird, Long-billed Dowitcher, Greater Yellowlegs, Least Sandpipers, plus Swallows and Swifts, Willow Flycatchers and Cedar Waxwing among others. The Snowy Egret was Bird #315 for Brian in Washington state for 2016. What a beautiful bird! To me this looks like a shot you might get somewhere in the subtropics like Padre Island, Texas. 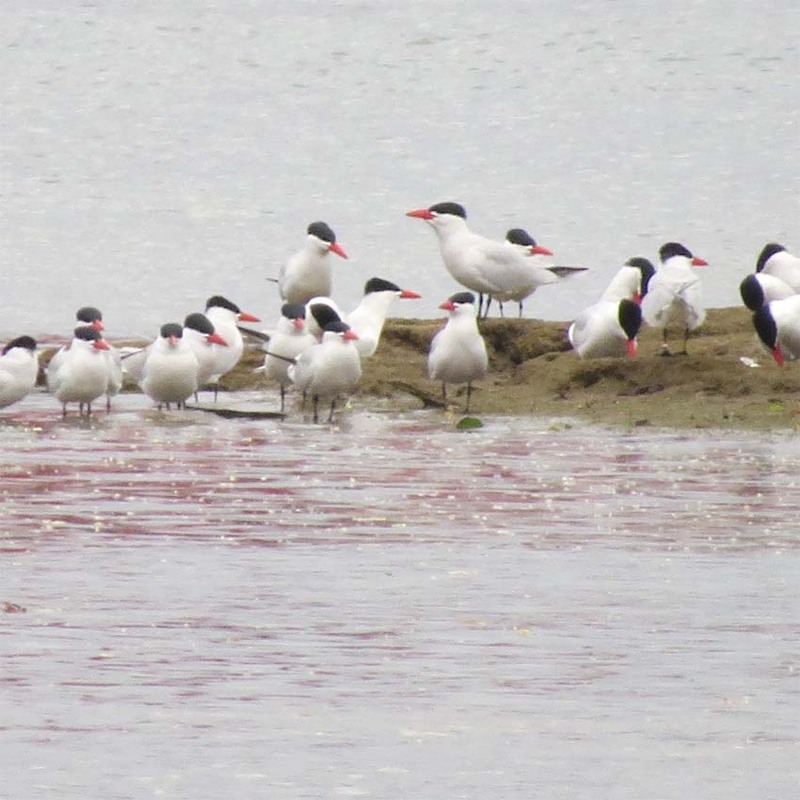 It’s from Herring House Park and the Caspian Terns are on Kellogg Island this April on the Duwamish River in Seattle’s Industrial District. Caspian Terns should be famous–they’ve got it all, looks, nice flight profile, bright color and they fly so well and dive they make for free air-shows if you can find the right place to watch them. Hey, Where’s your Discover Pass? 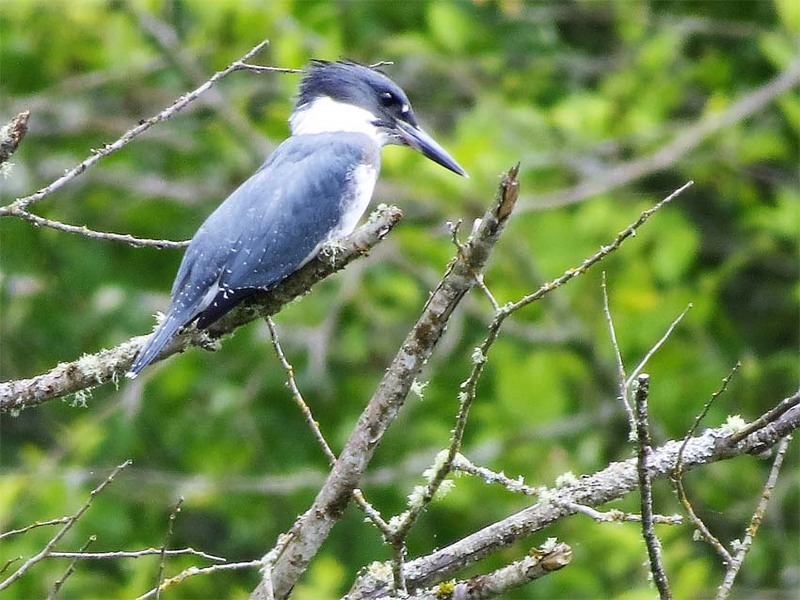 This is what I consider to be an especially handsome male Belted Kingfisher that was at Lake Sammamish State Park in July. You need a Discover Pass at Lake Sam, which I think is good but they should institute one day passes that can be bought on the spur of the moment on site. 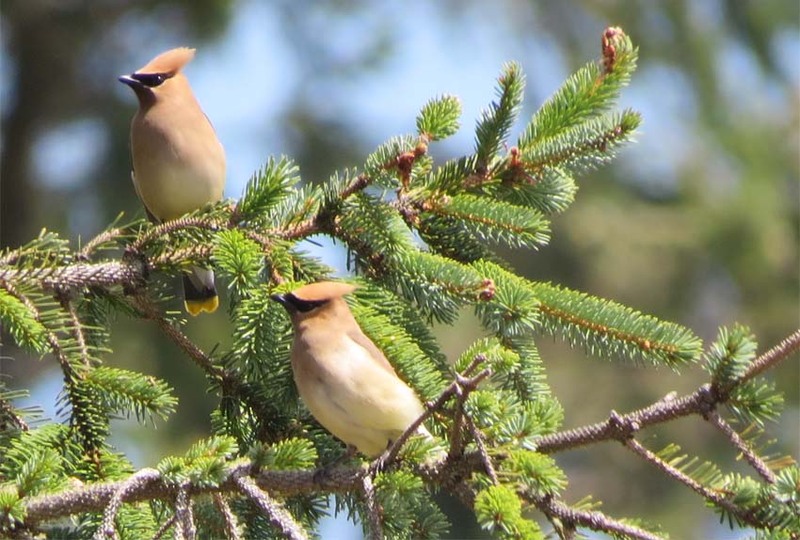 This handsome pair of Cedar Waxwings was in a flock in from Bottle beach working a termite hatch with some swallows in July. They left in a couple seconds. She was part of a pair near Route 80. 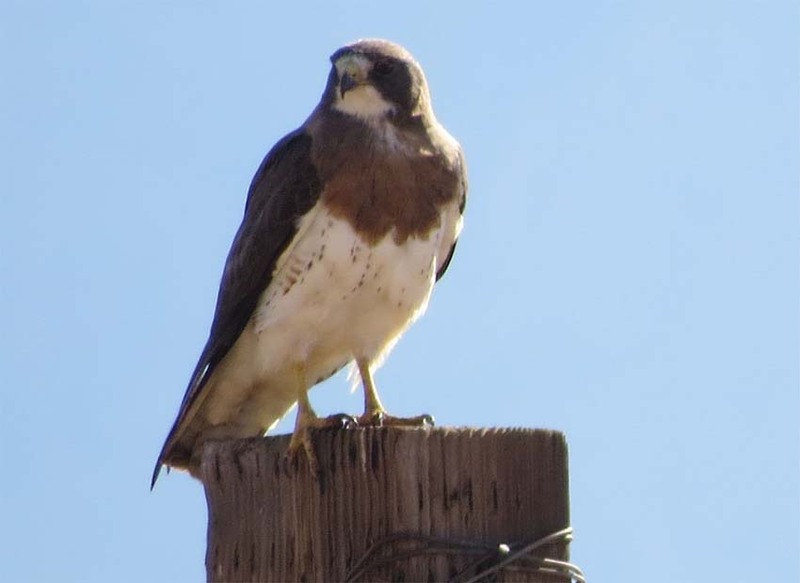 This chesty hawk with nice tapered wings is a Grasshopper specialist, according to CD Littlefield. 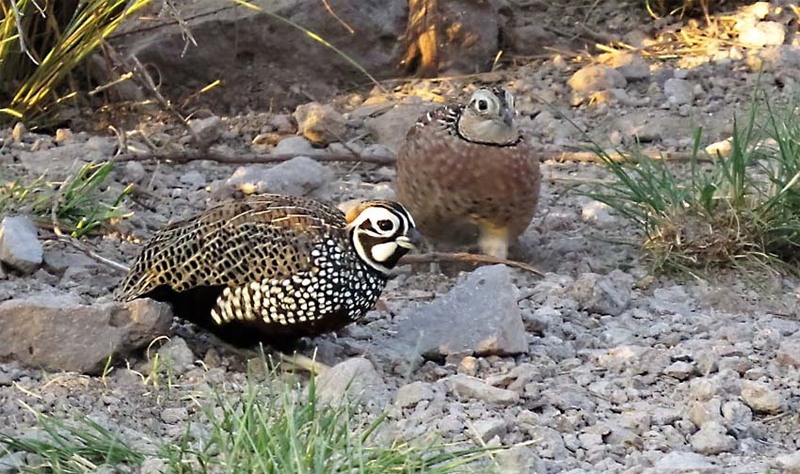 These birds are usually fairly reluctant to get this far from cover, and there was a Cooper’s Hawk on patrol, but they came for CD’s feed in the evenings on our last visit to the Peloncillos in New Mexico. 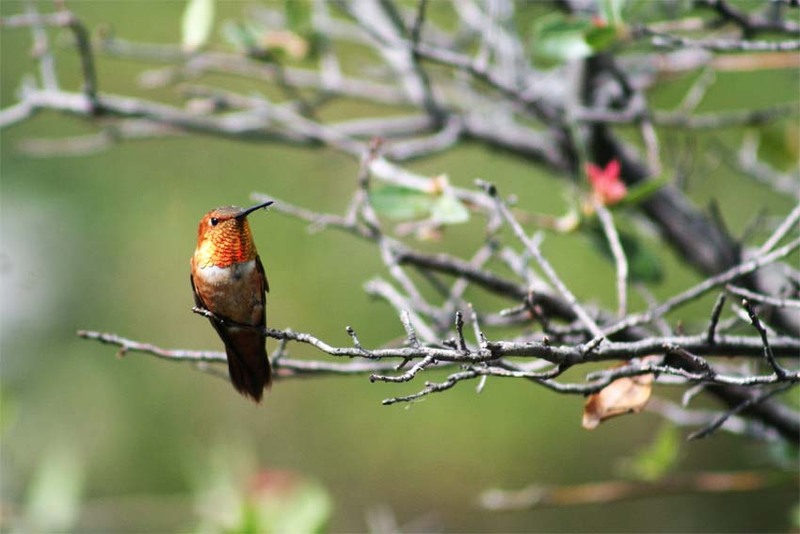 This is a shot from last year of a Rufous Hummingbird. I’ve lost some of my more recent shots, they are in the computer somewhere but I can’t find them tonight. I think this shot is from this year. 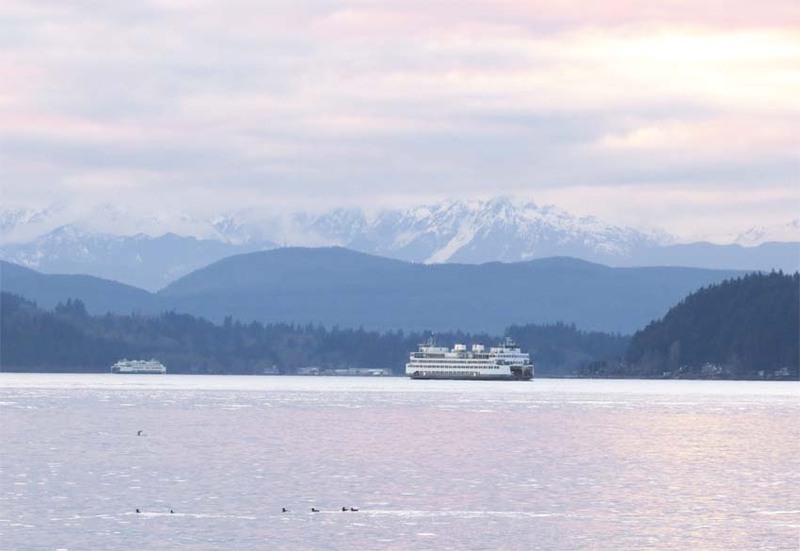 It’s from near Lincoln Park and that’s the ferry going to Southworth. Surf Scoters or some other species in the middleground. I’m hoping to paint it, but no one would believe it so I’d have to tone it down a bit in terms of the terrain.